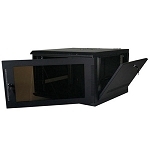 This Kendall Howard VCR/DVR Security Lock Box provides protection for video time lapse recorders, preventing any access from unauthorized persons. Accessibility is made possible by space provided for switches and accessories. Worried about cable routing? 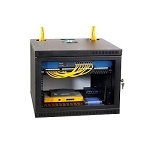 The VCR/DVR security lock box comes with two rear cable access plugs to make cable routing easy. 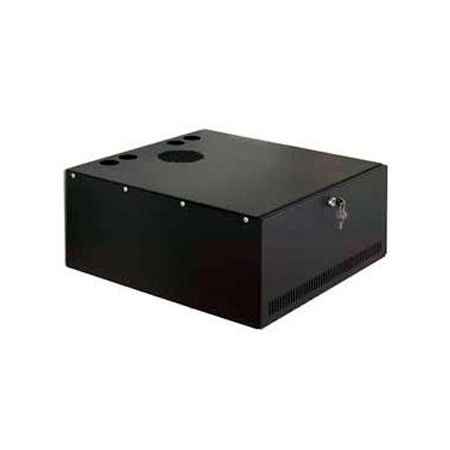 The Security lock box is steadily constructed with heavy-duty 18AWG steel and has vented front and rear panels which provide ample cooling. An optional quiet fan can be purchased separately for additional cooling, as well mounting brackets to secure your hardware equipment. Mounting bracket and fan kit sold separately. Spacious to provide enough room for your switches and accessories. Vented front and rear panels for equipment cooling. 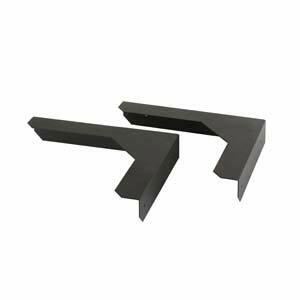 Optional mounting brackets sold separately to allow flexible mounting; on top of surfaces or wall mounted. Two fan cut outs provided on top and back of box, to accommodate additional cooling. Cable routing made easy by two rear cable access plugs. Accessibility provided by front swing-out doors with preinstalled cam lock and two keys. Top panel is removable to give additional access to equipment and wiring. VCR or video cassette recorders have been in production for over 20 years which makes it impossible for the technology to disappear. During this time tapes have been compiled of sentimental value which would create an increase in expenses to replace with DVDs. VCRs are very easy to use and are highly inexpensive to acquire blank or recorded taped. It is also very easy to re-use VHS tapes. DVR or digital video recorder has the advantage of having all recording self-contained inside one unit with no need for external media. It becomes possible to pause live television using this technology, allowing you to catch your favorite programs when interrupted. You are able to record in HD and save tons of money in buying VHS cassettes and DVDs. It is important to keep these units protected, ventilated and clean which can be achieved by storing them in the VCR/DVR security lock box. The security lock box also gives you the added advantage of mounting your units in your location of choice.